The more muscular and heavy you are – the bigger the size & the stiffer the construction of fin you will need. The wider your board is (particularly in the tail) – the bigger the size of fin you will need. The more rocker your surfboard has (particularly in the tail) – the bigger the size & the more rake in the shape of the fin you will need. The overall size of the fins you use will have a significant impact your surfboards performance. 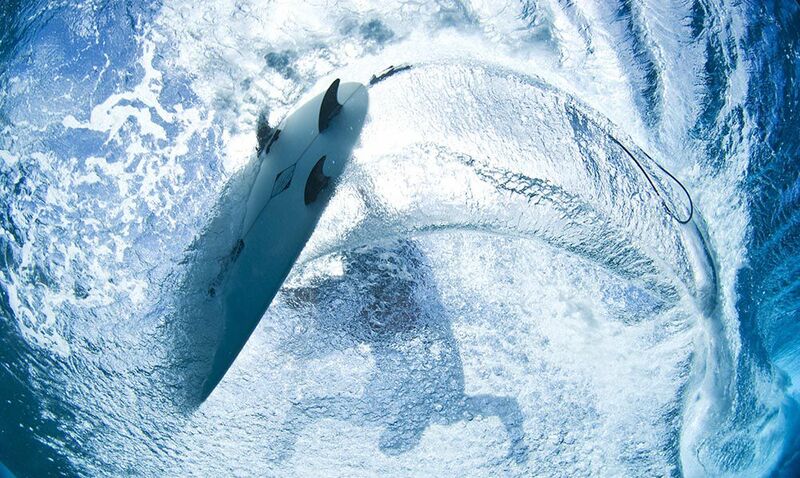 When selecting the right size fins there are two main forces at play (that you want to balance) – Lift and Drag. In the context of surfboard fin performance, “lift” refers to the horizontal force that helps to keep the board moving in a particular direction. This force helps you to maintain momentum along the wave face & complete turns by pushing against the water with the fins. “Drag” is essentially resistance or grip. A good amount of drag is like having a set of finely tuned brakes on your car. Drag can be thought of as a force that holds & controls your momentum and allows you to better harness the waves power. The amount of drag created by a fin is determined by a variety of factors but most prominently the fin’s overall surface area. So in a nutshell – the greater the surface area you fins have, the more control you will have at the expenses of speed. The less surface area a fin has, the faster your board will go at the expense of control. Larger fins generally have more hold or grip on a waves face, but take more effort to redirect. Smaller fins are more maneuverable and loose, but you have less to push off to drive yourself down the line and you sacrifice control or authority over your board. Most fin companies these days provide a set of basic dimensions for each of their fin models/templates which usually includes: Base, Height (or Depth), Sweep (or Rake) and Area. These measurements (combined with a few other factors) can help you gauge the type of performance you will get out of each different fin. Base – this is the bottom of the fin, where it meets the underside of the board. The size of the fin base primarily affects the amount of drive you get out of your board and it’s ability to turn sharply or pivot. Smaller or shorter fin bases give you the ability to turn sharper, with less effort – Longer or broader fin bases give you more drive (forward projection) and make the board more stable – but harder to turn. Height or Depth– refers to just how far the fin extends away for the bottom of the board & how deeply it will cut into the wave face. Depth affects the way a board will grip the wave face and it also contributes to how stable and in control you are through turns. The taller the fin, the more hold it will have on the wave face, providing the rider more grip and control. Shorter, shallower fins don’t grip the water as much, they are easier to turn and they allow the board to release more through turns – they are also faster because of less drag. Rake or Sweep – refers to the way that a fin tilts or arcs back. As a general rule, the more the fin sweeps or rakes back, the more drawn out your turns will be, the better you will be able to hold speed through turns and the greater forward momentum you’ll be able to generate. 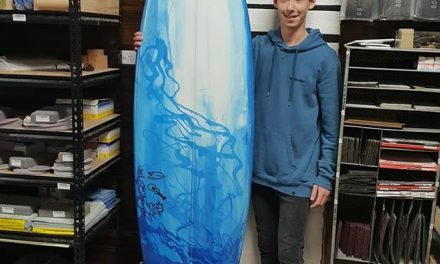 Raked fin shapes are great when you have a big canvas to work with – think bigger days and wallier waves, where you want to cover more ground, connect long sections and lay down high speed carving turns. Less fin rake and more upright fin templates in general make the turning circle of your board tighter. Upright fin templates with less rake are great in peaky waves that require quick reaction times – where sharp direction changes are required on smaller wave faces. Upright fin templates also tend to wash off more speed through turns and are less drivey. Fin Tip – the area and shape of the tip of your fins tends to affect the last third of your turns (most particularly top turns) and the amount of release or hold you have. Bigger broader tipped fins have better hold & more drive through the second half of turns with less release. Fins with a finer tip have less hold and more release. If your board is feeling a bit stiff or catchy off the top, or you want more release in the last part of your turns – try a fin template with a finer tip. If you want more drive & control through turns – try a fin with more tip area. The flex or stiffness of your fins is another factor that plays a big part in the way a surfboard will handle. The stiffer your fins are, the more stable and controlled your ride will be. The more flexible your fins are, the more lively but less controlled your ride will be. If you are a beginner, stiff fins are more forgiving and will give you the stability you need, so you might start there. Their lack of flex makes it hard to make sharp turns and the turns you do make will be wide and sweeping. Stiffer fins return to their natural position faster, with more force – but it takes more input to flex them in the first place. This makes stiffer fins ideal for heavier, stronger surfers or for more powerful waves. Stiffer fins ultimately give you greater control and the ability to push against your board harder, compared to fins that are more easily flexed. Flexible fins as the name would imply require less input or muscle to load up than their stiffer counterparts. Because they are easier to load up – you can use this springy action in your fins to great effect to generate speed in smaller and weaker waves. This flexibility does tend to make your board a touch harder to control though, particularly at higher speeds. Foil – The foil of a fin can be likened to an aeroplane wing or other aerodynamic shapes. 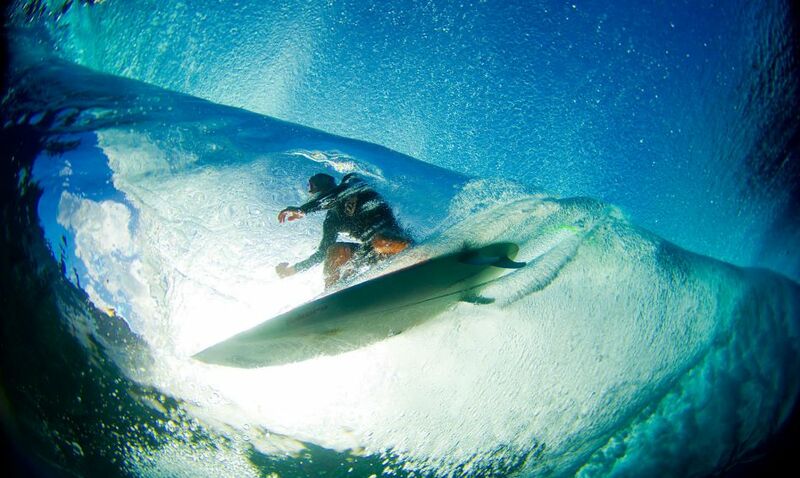 Just like the wings on an plane, the way water flows along and around a fin generates lift under your surfboard – in this case it is along the surface of the wave face instead of taking you up into the air. To create optimal flow of water and generate this lift, fins are usually foiled thicker through the centre and tapers away towards the edges. Most fins are also foiled thicker at the bottom and thinner as it gets towards the tip to control the way that it will flex. Ideally a stiffer stable base with more flex as you get towards the tip. Thinner foiled fin tips are great for adding some extra zip to your small wave shredding. When looking at the way that water flows across and around a fin, there are a couple of types of fin foils with many subtle variations. Middle fins are always foiled symmetrical and curved on both sides (often refereed to as a 50/50 foil) so water flows evenly across both sides of it, providing stability. Outside fins are usually convexly curved on the outer side with a flat or slightly concaved surface on the inside. Flat foil on the inner side is most common because it gives you a good balance of control and speed. A curved inside on side fins gives you extra lift without adding much extra drag and as a result they are great for speed generation in smaller, weaker waves. 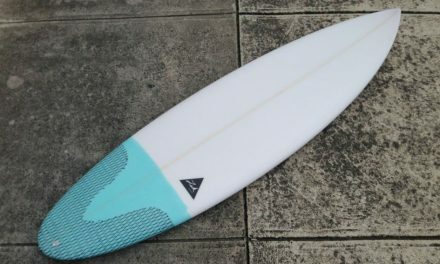 In this article I have focused on standard thruster fin setups, however the general rules/information here definitely applies to other fin set-ups including quads, Tri or single fin setups (for more info on Quads head to this previous article) At some stage in the future,I’ll break down fin choices for single fins and most importantly Longboard Fin choice so stay tuned for that.